Question: Can I start a business in Canada while I'm in Canada on a work permit? Yes... and no. If you are actually asking, "Can I start a business in Canada as a non-Canadian and stay and live in Canada permanently", then the answer is no. 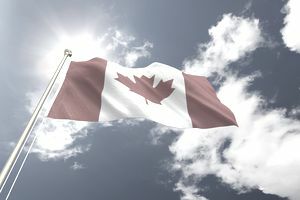 To legally start a business in Canada as an individual, you need to be a Canadian citizen or a landed immigrant (permanent resident) and as a foreign worker here on a work permit in Canada, you are neither. And of course, as most Canada work permits are usually valid only for a specified job, employer, and time period (i.e. are Closed Work Permits), you would violate the conditions of your work permit by starting a business in Canada. This means that you are not legally allowed to do work "on the side", or even do other work for the employer listed on your work permit. you may be eligible for an employer-specific work permit. To start a business in Canada and live in Canada, you must become a permanent resident. Permanent residents, also known as landed immigrants, are allowed to legally start businesses in Canada. The possibilities of immigrating to Canada as a self-employed person are limited. To immigrate through this program, you must have either relevant experience in cultural activities or athletics, and intend and be able to make a significant contribution to the cultural or athletic life of Canada, or experience in managing a farm, and intend and be able to buy and manage a farm in Canada (Immigration and Citizenship Canada). Before you apply to immigrate to Canada as a skilled worker, you will have to decide whether you wish to immigrate to Quebec or to somewhere else in Canada. Quebec runs its own program for selecting skilled workers. To immigrate to anywhere else in Canada as a skilled worker, you will need to apply under the Express Entry program. Security - acts of espionage, terrorism, subversion, etc. Committing acts in violation of human rights outside of Canada. Being a resident of a country that is currently sanctioned by Canada or other international organizations. Has been convicted of serious criminal offenses within or outside of Canada. Has been a member of recognized criminal organizations, or engaged in activities such as money laundering, people smuggling, etc. Health concerns - having a health condition that may pose a danger to the Canadian public or require excessive medical care in Canada. You might also start a partnership or corporation in Canada (but not a sole proprietorship) by teaming up with one or more Canadian citizens or landed immigrants. Seek legal counsel about this first, though, before you do it, as it may invalidate your work permit. Also note that even if you do this, being a partner or a shareholder in a Canadian business does not automatically mean that you can stay/live in Canada.